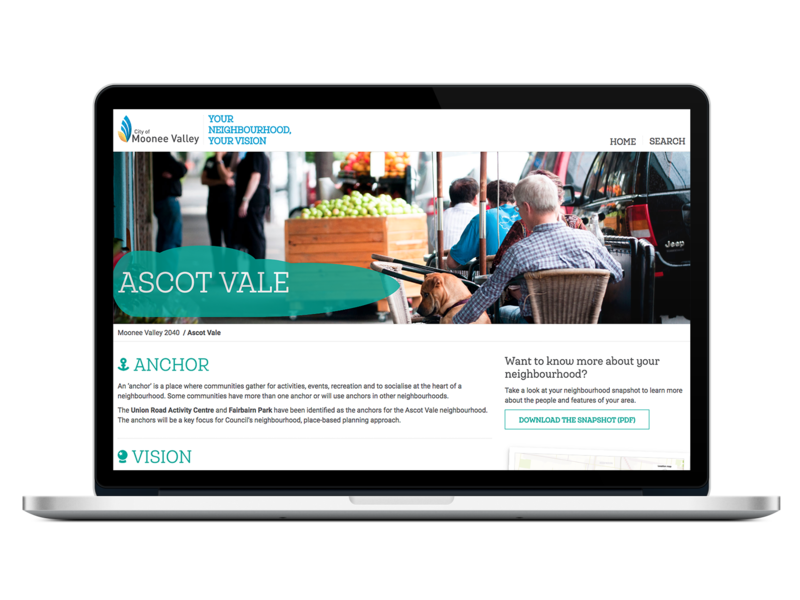 The City of Moonee Valley ran an extensive community engagement process to seek insights to help them develop a future focussed community plan that reflected the ideas of its people. The City wanted an online tool to help their communities identify what was important to them about specific neighbourhoods and help shape a vision of how these areas might look in the next couple of decades. 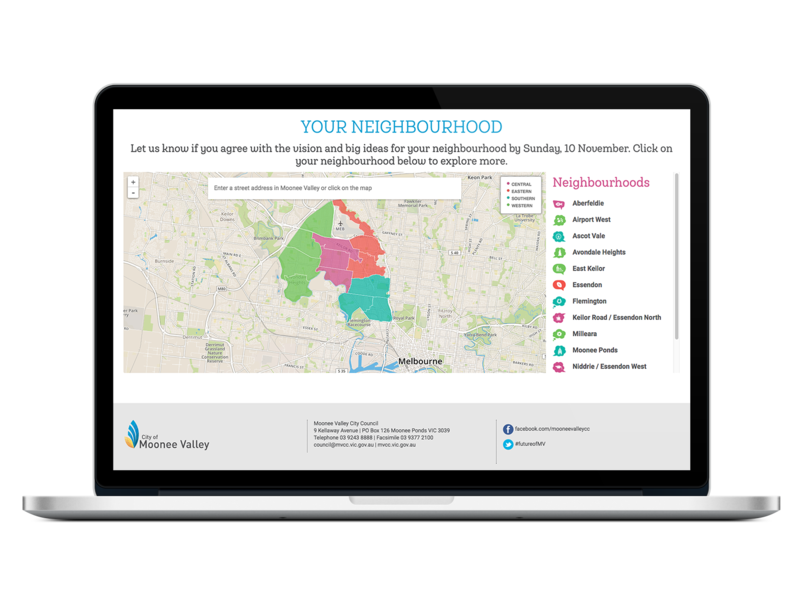 Harvest designed a map-based engaging site where users could easily access read relevant information about specific local areas and then publicly comment on what they loved about their neighbourhoods. 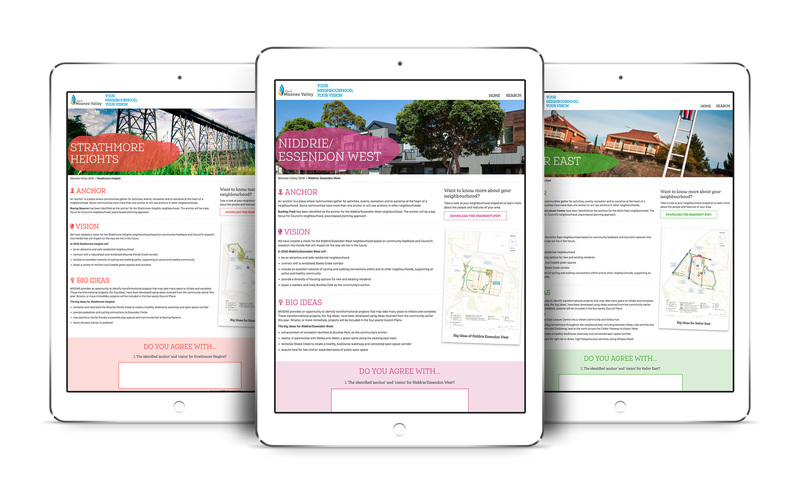 The could also drag and drop key council themes into a priority list and contribute in a free-form manner to a question about what was important to consider about keeping neighbourhoods safe, connected and liveable in the future. The site was an overwhelming success with nearly 1400 quality contributions and thousands of visitors to the site. Harvest also delivered a comprehensive evaluation of the public participation including identify specific actions Council could undertake in the short, medium and long term in different neighbourhoods and common themes across the municipality as a whole.